Can mixtapes make the rapper a star? DC mainstay Wale has a sharp-tongue, and his tapes have proven much better outlets for his witty reversals and astute observations. The introspective More About Nothing ruminates on his successes and failures in "the rap game", touching on his relationship with Interscope and their artists, his debut record Attention Deficit, and his desire to be more than just a footnote in the music world. Once again, he uses the Seinfeld mythology as a prism, and once again, it splinters his sentiments to a wide spectrum of emotions... for better or worse. The first few cuts form an introduction to Wale, starting with a spoken word retrospective on his wishes to expand his influence. "Resented by the game like I'm Pete Rose in this b*tch", he quips, exploring his poor record sales and the potential disappointment of fans and supporters. But Wale isn't Eminem; the pill popping depression is kept to a minimum (IMO). We're immediately thrust into "The MC", a jumpy puff-piece ("I like to think I write a rhyme tighter than some biker shorts") with a crowd chanting "Wale" as the chorus. One thing Wale does better than any other rapper is backing up his boasts... his claims never feel hollow or unjustified, and his punch-lines have more sting than some of his weak-wristed counterparts. Compare this to Snoop Dogg's phoned-in guest verses and you'll see what I mean. It's not up for debate... Wale is a voice to be reckoned with. So why did Attention Deficit deflate? More About Nothing is the key to the question. 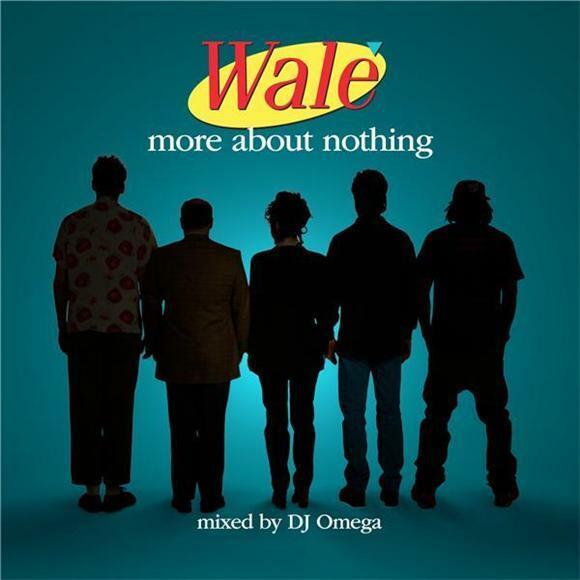 It's a mixtape about "nothing", but really something significant to Wale, using cultural talking points as spring boards and humor-filled sound-bytes in and out of context, Wale is the thinking man's rapper. While most prefer mindless bullets and blind ambition, Wale sees a path and attempts to run it. His well established mixtape credentials are out of control, no one will deny that. But the weird delineation between "album" and "mixtape" in the rap world seems to be the main block in Wale's expansion. The terms usually refer to the amount of time put into recording and development, or the fact that mixtapes are more about lyrics and wordplay than instrumentals and beats. But for Wale they mean no official singles, no chance for radioplay with some of the songs that could, frankly, play pretty hard on rap radio. I can't pretend I know all the politics here, but it's sad that one of the most enjoyable rap "albums" of the year isn't really considered an album by anyone.